Think of Crème Brule or caramel custard and you will understand our medium weight Ghanaian Brown Sugar & Honey Custard. 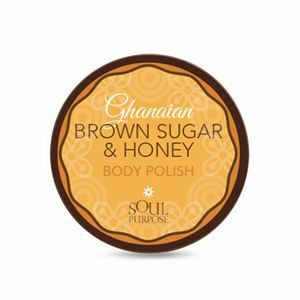 Ghanaian Brown Sugar & Honey Custard is made from organic aloe vera, an organic herbal infusion, sweet almond oil, shea butter, vitamins and honey that condition and moisturize the skin. A sumptuous blend of brown sugar, caramel and honey rounded out with notes of vanilla amber and exotic spices. It’s extraordinarily hydrating and healing. Your skin deserves this decadent indulgence.